Teen dating can be both exciting and scary. There are many new feelings that teens will experience during their first few relationships and it can be difficult to determine if what they're feeling is love. Love is an amazing feeling, it puts a smile on your face and is an antidote that can provide ultimate healing. So why do some people hurt when they are in love? Why do relationships sometimes make people feel like they aren't good enough? 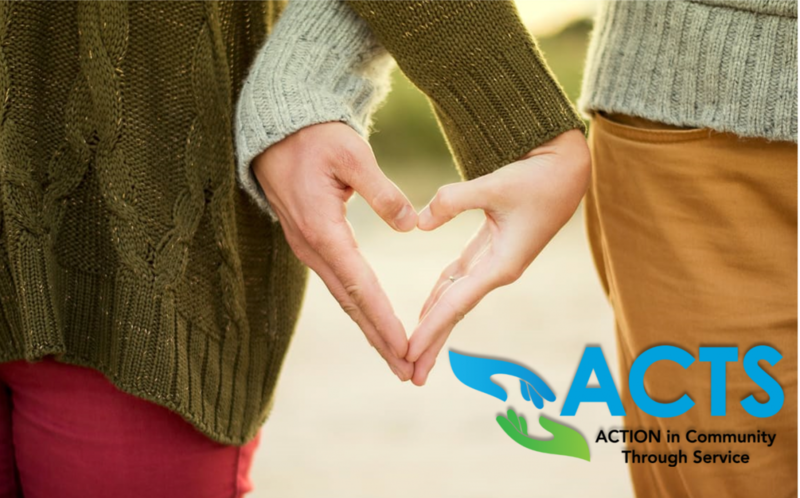 ACTS Domestic Violence Services is here to say that love is NOT pain, and being in a relationship should NOT make an individual feel like a prisoner. Love is kindness, love is trust, love makes you feel significant and special. Love is gentle, tender touches, not shoves, slaps, or punches, or words that are cutting and hurtful. Love is a breath of fresh air, not a feeling of despair. 1 in 3 teens experience dating violence. Ask yourself, does that apply to me? If it does, feel no shame, and know that is not your fault. We are here to help. ACTS' Domestic Violence Services can help you to regain your courage; to help you be brave and not be devoured by the fear of another's words or hands. ACTS' Domestic Violence Services not only serves adult victims in abusive relationships, but also the children who have been exposed to the abuse. We know that children exposed to abuse need support just as much as their parents do. Children are the future; therefore, many of our efforts are towards working with children and teens, teaching them about healthy vs unhealthy relationships, such as what "red flags" (warning signs) to look for when they are in a relationship. Did you know that studies show that 1 in 4 men who have been exposed to domestic violence as a child, are more likely to grow up and become a perpetrator when they are in a relationship of their own? For this reason, we work with children and teens on ways to help prevent becoming violent with a partner when you are in a relationship. 1 in 3 girls, more commonly ages 16-24, fall victim to either physical, sexual, or emotional abuse. Studies also show that children who are exposed to domestic violence are 15 times more likely to become victim to domestic and/or sexual violence in their lifetime-15 times more likely! These statistics are devastatingly high, so our organization works to help decrease these numbers and prevent the cycle of abuse from occurring. The ACTS Children's Program reaches out to schools and our community to help raise awareness on domestic violence, and teen dating violence. Because ACTS knows that abuse not only comes in the form of physical ways, but also emotional and sexual, we provide counseling as well as support groups for adults and children, ages 5-17, to help build self-esteem, learn how to problem-solve, identify healthy and unhealthy relationships, communication skills, and how to deal with feelings such as anger, grief, and sadness. Together we can make a difference, and so many times, it starts with our children.